Planning to have a new home built? Let us tell you that breaking ground on your new home is more than exciting! However, it might be something that could overwhelm you especially is you are not aware of timelines or the stages of building. Don’t worry – most homeowners find the construction process a bit overwhelming. This is why we have put together a brief home building timeline to demystify the home building process. Are you ready? Prior to doing anything, you first need to find a pre-designed plan or a professional to design your home. You have to have an idea how much you will spend and what it will take to turn your dreams into a reality. If you do not plan on decorating your home yourself, this is also the perfect time to consult an interior designer. Before you can build, you have to purchase the land first. This can happen before the home design process or even during. Make sure to shop around for lots until you find the perfect one that fits your budget as well as your ideas. The house design you want should fit properly on the land you choose. This is where a lot of back hoes and heavy equipment will come in. Expect workers to be busy excavating, clearing, and leveling the lot according to plan. This will be the first time you will see the rough shape of your home and trust us, this can be exhilarating! This is where concrete will be poured to support your home’s foundation. This is also the stage where major structural work takes place. Delays might take place at this time especially if the weather does not cooperate or in the event of failed inspections. Once your home has its basic structure, workers will start filling it up wit things that make it look and function like a home. HVAC units, plumbing lines as well as electrical systems come to place. Walls are also installed during this time, as well as home security systems, and other special infrastructure. Your home will start to look more like one during this phase. The site will start looking like the drawings showed to you months ago. Choosing the right flooring is one of the major decisions you will concern yourself with in this stage. This stage is where countertops, faucets, plugs, light fixtures and appliances should be installed. Your front yard will also be going through massive transformation if you avail landscaping services. This is the last few weeks of your home building timeline, so expect a whirlwind of emotion and small details. You might feel anxious to move in, but make sure all your concerns and questions are addressed before heading to settlement. 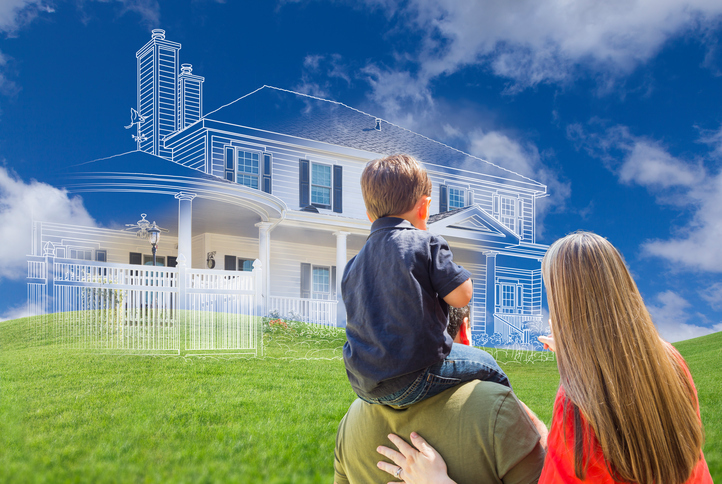 So, are you ready to have your new home built? Make sure to give us a call at your earliest convenience! This entry was posted in Custom Homes, New Homes, Preservation, Remodeling and tagged home construction, new builds, new home, new homes. Bookmark the permalink.